Remember the Power Wheels kids used to scoot around in when you were a kid? 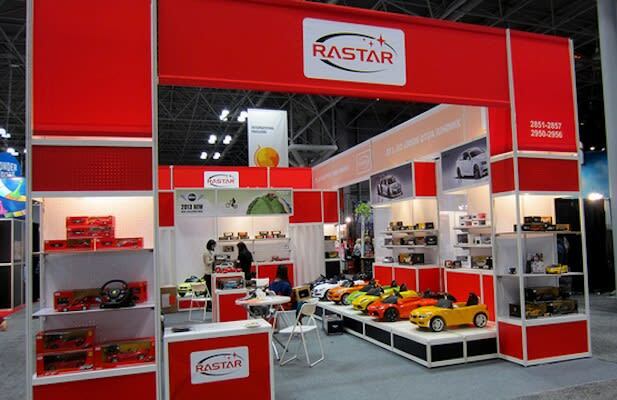 If you thought those were awesome, the Chinese toy car company Rastar Industrial Co. Ltd. has got some luxury rides you might be interested in (for your kids). Unveiled last week at the New York Toy Fair, the company offers child-sized versions of the BMW Z4, Lamborghini Aventador, and Mercedes-Benz SLS AMG Convertible, among others. Featuring top-notch re-productions of the molded headlights, grilles, and badging of the vehicles they imitate, these are the perfect way to get your kid a head start on his/her love for cars.